When you are preparing to offer on your dream home, you may wonder how you can make sure that the seller accepts your offer. What if there are multiple offers? There can often be a lot of competition for the perfect house, and you might worry that the seller will refuse your offer. Don’t worry! There are some tips that can help make your offer more enticing and prepare you for the negotiation process. It’s helpful to keep some of these tips in mind when you are making a purchase offer to ensure that your purchase is stress free. 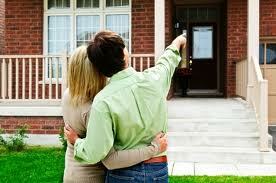 One of the first things to remember is to make sure that you use openoffer.com to negotiate the best possible price. Once you are done with the price negotiations, try to put a human face on your offer. Buying and selling real estate can often be emotional. If the seller is the owner, they may have loved their home, and might even be sad to have to sell it. It’s sometimes a good idea to make sure the seller knows that you love their home, too. It’s often a good idea to try and connect with the seller and form a bond. If you are writing the seller a letter, be sure to list the ages and relationships of your family that will be living in the home. List some of the reasons why you fell in love with the home. This can help make the buyer feel that they are selling their home to the right person. Make sure your offer is written out clearly and positively. Double-check and reread your offer before it goes to the sender to ensure that it is accurate and makes sense. You don’t want to leave anything out and have to deal with a counter-offer. Make sure all of the information in the offer is correct. This includes making sure all of the figures add up, and that all of the details are correct and are not missing. Lastly, if you are working with an agent, make sure to stress the credentials of your selling agent. Often, a big obstacle in selling a property is when a listing agent has to deal with a selling agent who is part-time ad unprofessional. So stress if your selling agent is a full-time agent who has a lot of experience. It can often make a big difference when you are working to get an offer accepted.